michellephilippi.com» Blog Archive » Thank you. Posted by Michelle on November 24th, 2011 . Filed under: Authentique, Cards, Papertrey Ink, Thank you . Got a quick one for you today as we’ve got cooking and cleaning to get done today. Plus I’m shopping at Walgreens this morning for some hot Thanksgiving Day deals (check your ad this morning as there are TONS of things for free and you can use that money back as your foundation to pay and play from week to week like me ;)). The family will be here at 3 o’clock for turkey and all the fixins. And then the Niners are on at 6pm. And then we’re at Walmart tonight at midnight to get me a new computer. And then we’re back out at o:dark:thirty to shop shop shop some more. Another little Authentique card. I love blue and yellow together. It’s got that country French thing goin’ on, and it’s also an early 70s kind of color matching which I love. L ove me some 70s. Have a great Thanksgiving! « The True Story of Puss ‘n Boots – movie review. 4 Responses to Thank you. Happy Thanksgiving Michelle! Hope your shopping trip to Walgreens this am was great! Good luck with your shopping tonight and tomorrow!! Love your card! The pins are so cute! Happy Thanksgiving! Hope you had a great day with the family!!! Love the WE will be cleaning….hehe…. Hope you are able to get some good deals shopping tonight!!! Gorgeous, Michelle! I hope you got a ton of great Black Friday deals including your computer! 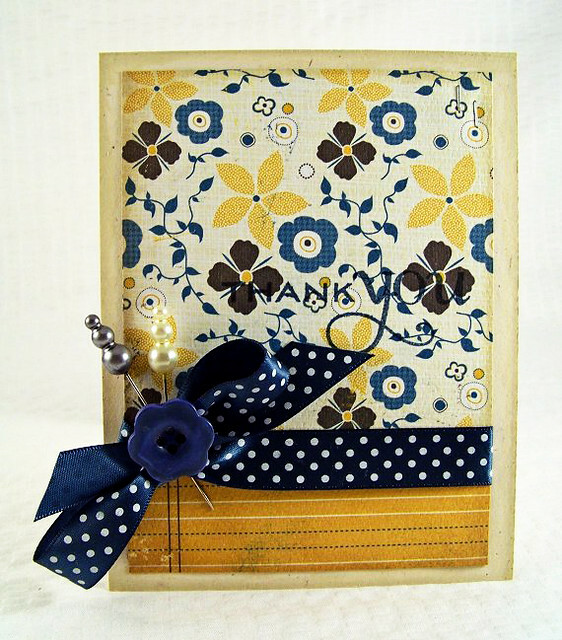 Ooh, love the yellow & blues! So pretty – and of course I love them pins!